Good Morning from Galesburg, IL. Mrs Blog and I are driving through some serious agriculture. 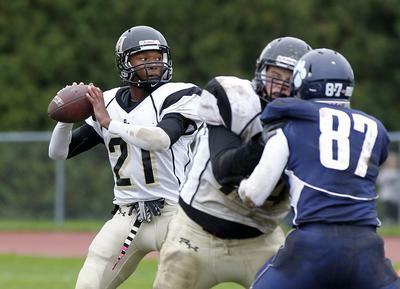 ESPN Boston looks at the coming year in high school football in the Bay State. The article mentions several UMass connections. The MAC blog "Hustle Belt" looks at the MAC East schedule for 2012. Sporting News ranks the SEC OOC schedules. And the Big East. Relevant quote for UMass fans: "What AD in their right minds would schedule four BCS teams for their OOC schedule?" Our SEC OOC opponent Vanderbilt has verbals from three four-star recruits and a dozen three-star. A Bleacher Report writer thinks Emil Igwenagu will end up on the Eagles Practice squad. Yesterday, the MAC Daily looked at how UMass' men's sports would do in the MAC if the Minutemen played all sports in the conference. Today they look at Women's sports. 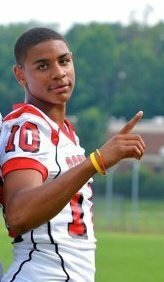 Matty V. reports that UMass has received its sixth verbal for the 2013 season. Sam Zeff, a 6-5 277-pound OL from Montclair, NJ has committed to the Minutemen. NJ.com has the story on his verbal to UMass. 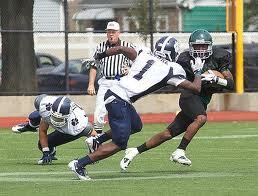 Zeff had offers from UConn, Rutgers, Temple and Tulane from FBS and from Old Dominion and Yale from FCS. 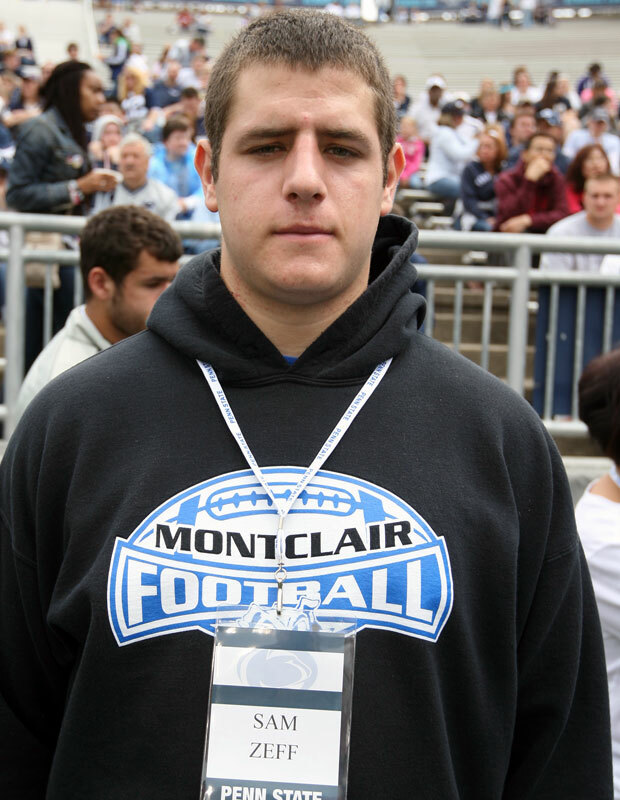 Matty V. reported Shane Huber, a 6-3 230-pound TE/LB/DE from Jersey City, NJ will visit UMass this weekend. Huber's NCSA recruiting profile here. A question-and-answer session with Huber here. Huber holds offers from Buffalo, Navy, Temple and UCF. Good Morning from scenic New Stanton PA, which is basically a truck stop at the junction between the PA Turnpike and I-70. Matty V. says Coach Molnar and AD McCutcheon are excited about the new BCS playoffs. 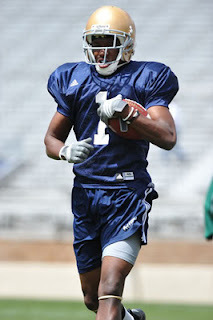 The biggest news in the article is that 2011 JUCO transfer Bernardo Nunez is still working on his eligibility for 2012. I don't remember if I ever linked to his Pittsburgh bio. Nunez was originally a three-star recruit by Rivals. The Commissioner of the MAC comments on the new playoff system. The Examiner.com has a story about how UMass would do if they joined the MAC for all sports. 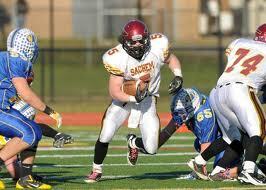 The Sachem Patch.com has a story featuring Steven Casali who verbaled to the Minutemen earlier this week. 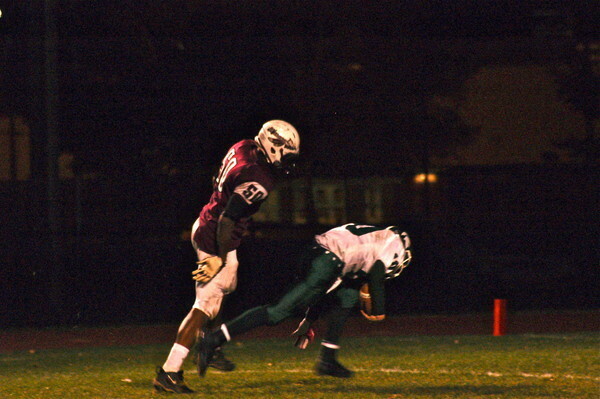 Harry Plumer of MassLive.com has a story about recent UMass verbal Sha'ki Holnes and his Tyrone Mathis. Mattty V. asks "Can we go back to referring to I-A and I-AA football now?" 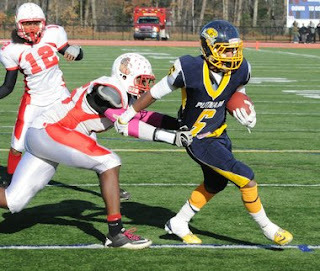 MassLive.com has a short article on yesterday's verbal from Richard Queen. Boston College is facing the same team in its opener (Miami) as it did in last game of the season in the previous year. That's only happened three times in BC history. One of the occurrences was in 1901 and 1902 against UMass. The Minutemen won both games. This story is about the Colorado Buffalos future schedule and mentions the 2-for1 series with UMass. WWLP-22 looks at the college playoffs. 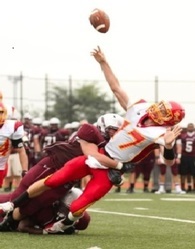 Matty V. reports the Minutemen have received their 5th verbal when Rich Queen, a 6-5 268-pound OL from talent-rich Bergen Catholic HS in NJ committed. XOFan.com featuring Queen's announcement here. He's going to go the Isenberg School of Management, my old school. Good choice Rich. Top performer in North Jersey 11th Grade NUC Schuman's Outstanding Performance List. The BC Blog "BC Interruption" reports that BC High OL Jack McDonald verbaled to Virginia. 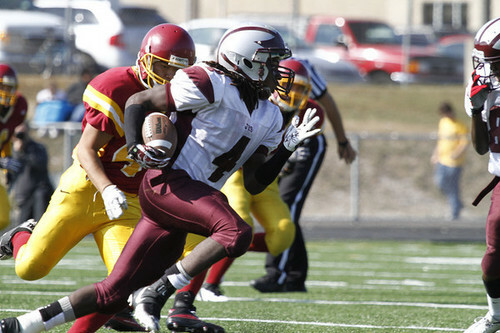 McDonald held offers from both Boston College and UMass. Victor Cruz is a hit at William & Mary camp. The Williamsburg Yorktown Daily says Cruz is still playing with a chip on his shoulder. Matty V. has a post and a link about it being a make or break year for Vladimir Ducasse. The Jet Press says Vlad is getting extra work and it's showing. Team Speed Kills.com reviews the schedule of this year's OOC opponent Vanderbilt. The MAC Blog "Hustle Belt" says the new four team BCS championship does not affect the MAC at all. A Bleacher Report looks at the Bengals' safety position and says Jeromy Miles is very much in the mix. Matty V is reporting that UMass has its fourth verbal for 2013. Committed to the Minutenmen is Cole Ormsby a 6-3 225-pound DE from Windsor, CT.
A sleeper prospect, Ormsby could emerge as one of the top overall players in Connecticut with a strong senior season. Ormsby tied a state record in single-game sacks. Made the 2011 CT Coaches All-Star team. ESPN's recruiting blog says UMass has picked up it's third 2013 verbal from Sha'ki Holines, 6-4 240-pound DE from Commerce HS in Springfield, MA. ESPN recruiting blog post here. MassLive.com has a post here. Holines also had an offer from Maine. I've been meaning to mention I received an e-mail from the Minutemen Club about a planned trip to Michigan this year. The UMass alumni association has details of the trip here. Anyone who didn't get a chance to go in 2010, should seriously consider going this year. The experience was great! A Bleacher Report writer picks UMass last of 124 FBS teams. VanDelaySports.com picks UMass to finish last in the MAC East. MAC conference mate Central Michigan picked up 6 verbals in 26 hours. OOC opponent Vanderbilt picks up a four-star recruit. A Philly.com writer looks at the impact of football re-alignments on college basketball in the East. Matty V. reports UMass landed its second 2013 verbal from Steve Casali, a 6-2 220-pound ILB from Farmingville, NY. Video interview with him on his team's 2011 season here. 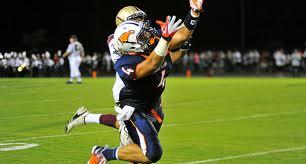 AllMetSports.com reports that Cam Sergine, a 6-3 225 LB TE from Briar Woods HS has verbaled to Wake Forest. Sergine had offers from UMass, Ohio, Temple, Air Force and James Madison. Former UMass OL Brian Ostaszewski has joined the Western Conn Milita Semi-Pro team (page two). UMass 2012 recruit Khary Baily-Smith, a 6-4 205 WR was named to the Boston Globe All-Scholastic track team. The Patriots announced Friday that they had resigned James Ihedigbo. ESPN also has a story about Ihedigbo's signing. Victor Cruz will join Tim Tebow and Larry Fitzgerald at William & Mary's Colonial All-Pro Football Camp. The NY Post says UMass has offered to Travon Reid Segure, a 5-11 175 pd DB/Athlete from Brooklyn, NY. NY Post article here (at the end). Reid Segure was All-city in 2011. He holds offers from Temple and Syracuse. Matty V. has an interview with UMass women's tennis coach Judy Dixon on Title IX and its influence on college sports today, including football. UConn's football upgrade paid dividends for Huskies women's tennis. I don't think I linked to this article about Tuesday's Empire State Challenge Football Game. 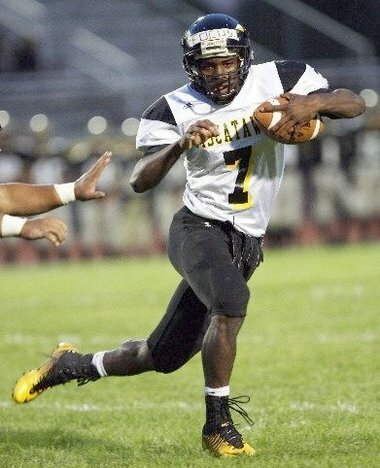 It has a paragraph on UMass recruit Stacey Bedell, who averaged 9 yards/carry in the game. A Bleacher Report writer picks the winner of each FBS conference including the MAC. UMass has been rumoured to have new uniforms for its debut in FBS. Eastern Michigan will also have new unis for this year. The Eagles go with the currently popular multiple combinations look. ESPN reports UMass has offered to Marcus Ball, a 6-3 205 pd athlete from Westerville, OH. Ball could play QB, Safety or WR depending on the needs of the program signing him. He has over 20 FBS offers including Notre Dame and six MAC schools (besides UMass, Akron, Bowling Green, Kent State, Miami of Ohio and Toledo have offered). UMass Football and Coach Molnar are hosting an open house at the Minutemen's offices on Wednesday June 27th from 6:00 to 8:00 pm. If you haven't heard Coach speak, you should go. As Matty V said, Coach Molnar is comfortable talking with fans and he'll greet you one-on-one. You will also get to meet some of the UMass players. 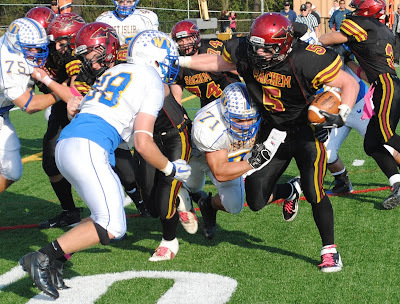 Masconomet's Kurt Hunziker played in the Shriners All-Star Classic at Gillette last weekend. Instead of football he'll be playing for UMass Lax next year. The Philadelphia Eagles "news" section says the roster is set. It has a positive mention of Emil Igwenagu. BTW, the Eagles have an extensive biography page for Igwenagu here. If you like working out Football Scoop has a video from the Miami of Ohio's weight room. It's pretty interesting stuff if you like moving iron. 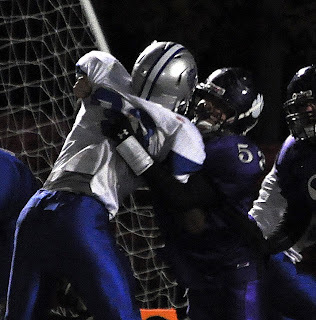 Nashua Telegram says the Minutemen will have John Bieren, a 6-3 225 pd DE as a recruited walk-on. Bieren ran a 4.78 40 and received a perfect 800 on his math SAT. Matty V. looks at John McCutcheon's record of athletic dept hires (including Brown, Morris and Molnar). More on the Empire Challenge Football game. UMass recruit Stacey Bedell says he'll have the bragging rights over UMass recruit Robert Kitching for some time. Northport patch has another story about the Empire challenge game. MassLive has a short article about Bedell. Kitching may get his chance at Bedell in the future. Remember this? A Bleacher report writer looks at the NFL's QB-to-WR combinations and has Eli Manning-to--Victor Cruz as #2. UMass sets a recent high in Football APR. The story includes results for all UMass sports. USA lists the teams receiving sanctions from the NCAA including UConn basketball. The MAC Blog "Hustle Belt" has a story about potential College Football Hall-of-Fame candidates from the MAC. 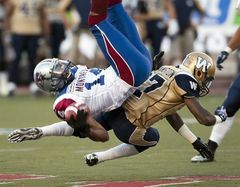 Brandon London had a scare in that Alouettes preseason game I blogged about last week. Boston College signs Cory Jasudowich. Brandon O'Neil talks about his verbaling to Wake Forrest. Today is Summer Solstice. The Longest Day. Starts on 19:07 EDT. This is the earliest calendar date of summer I can remember. Astronomical Calendar says until 1975 Solstice fell on ether June 22nd or 21st. Then only on June 21st. In 2012, it begins falling occasionally on June 20th. Syracuse is the new face of college football recruiting in NYC and Long Island. 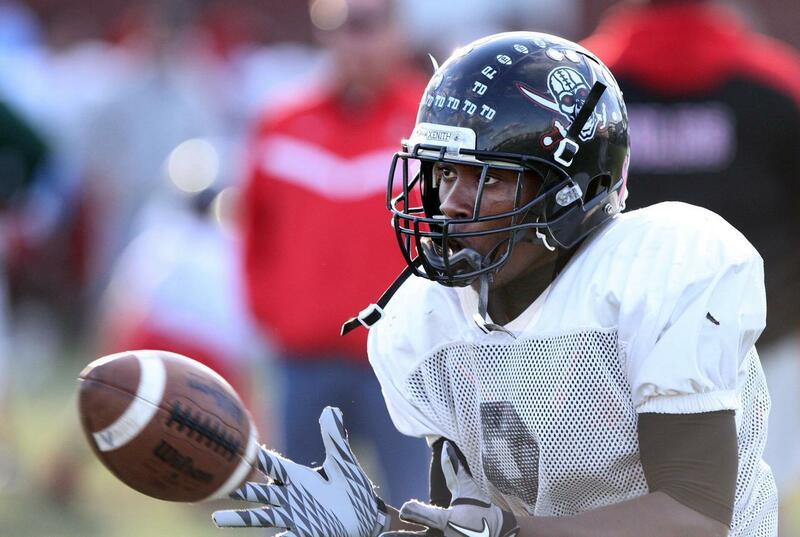 UMass-bound recruit Stacey Bedell dominated in the Empire Challenge charity game. The NY Post has him as the game's MVP. Newsday has another article on Bedell here. Opposing Views.com previews the UConn Huskies. GiantsFootballBlog.com (good name) says the Giants young receivers including Julian Talley have a golden opportunity this summer. CBS Sports.com ranks Indiana as having the #3 easiest schedule in 2012. Phil Steele's MAC 2013 commitment list. 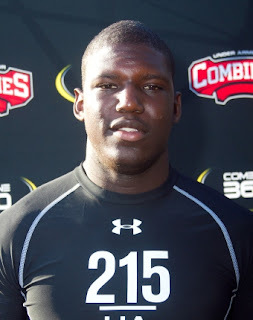 ESPN says UMass has offered to Nadir Barnwell, a 5-11 185 pd athlete from Piscataway, NJ. 247 sports has his page here. Being recruited for Penn State by former UMass assistant coach Ted Roof. Teammate of 2012 UMass recruit Tajae Sharpe (scroll down). 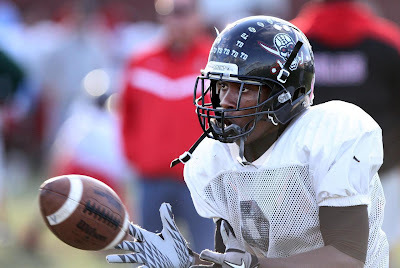 Barnwell holds offers from 13 FBS schools including UConn. According to Football Scoop former UMass TE coach Mike Wood (UMass bio) has been hired as offensive coordinator/QB coach at AIC (Monday June 18th post). A Bleacher Report article ranks UMass as the easiest team on Michigan's schedule. KC Cheifs Draft.com looks at the most overated players in the MAC. Says Nick Speller isn't one of them. Athlon has a story about Signing Day at Vanderbilt. The Article mentions former UMass assistant coaches Sean Spencer and Bob Shoop. ESPN looks at the facilities race in college football. Mentions 2012 OOC opponent Indiana. Then again Allen HS in Texas just built a $60 million stadium. Mrs Blog blames global warming. Joey Ivie commits to Florida. A Maryland blog profiles former UMass coach Keith Dudzinski. Athlon Football's UMass team page. Also, Athlon predicts the MAC. A Bleacher Report article gives UMass-UConn on Thursday August 30th, as one of the best opening games of the 2012 season. Saturday Blitz breaks down the season for Big East teams including UConn. Speaking of the Huskies, NBC Connecticut looks at UConn's football facilities. Black Shoe Diaries looks at the 2012 recruiting for our OOC opponent Indiana. The Hoosiers added 11 three-star players and one four star. Vanderbilt is also trying to build on a successful year. 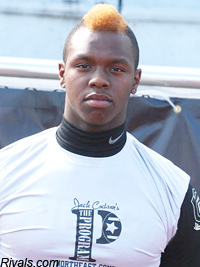 Rivals.com reports UMass has offered to Chauncey Scissum, a 6-2 190 pd CB from Henrietta, NY. Has offers from Towson and Syracuse for Lax. 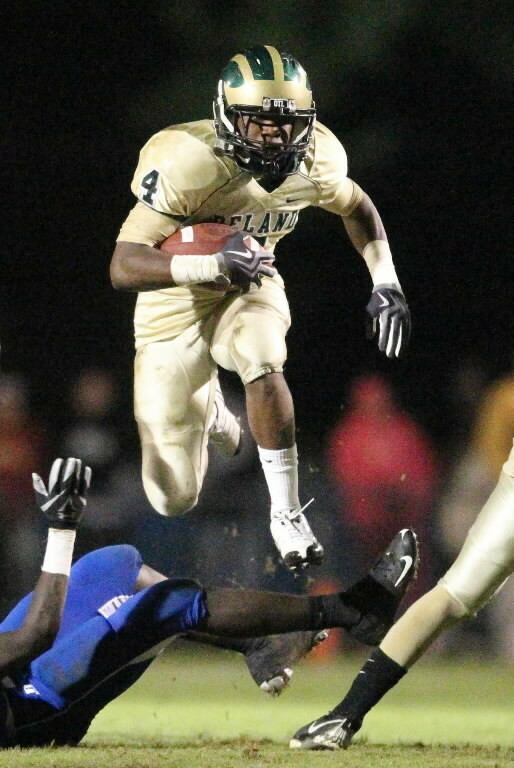 More stats and bio here (scroll down 13 players in the "class of 2013 selections"). nationally ranked in the triple jump. Scissum holds offers from Bowling Green, Buffalo and UMass in FBS. Towson and Old Dominion have offered from the CAA. D.J. Juste commits to Georgia State. Brendon O'Neil commits to Wake Forest. Harry Plumer of MassLive.com has an article about Coach Molnar's visit to Worcester. Canada.com looks at the new kids in FBS town. Presnap Read.com has a long review of the Minutemen. 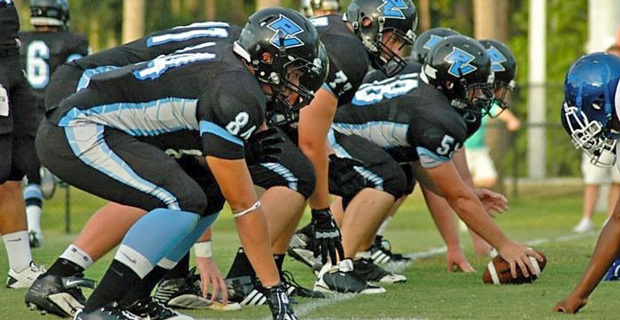 RantSports.com reviews our OOC opponent Indiana. WEEI has a quote from James Ihedigbo on the Patriots defense. Brandon London gets tackled in the Larks preseason loss to Winnipeg. I went to Coach Molnar's meet-and-greet down in Worcester last evening and had a good time. Matty V was in the house and he says Coach can work a room. If you get a chance to go to one of his talks, do so. It was fun and will get you fired up on the future of the program. I got to talk with some blog-friends too. Coach Molnar was pleased and happy with the team. UMass had 5:45 AM practices all spring. There were no complaints and only one tardy player the entire time. He said the Minutemen hit as much as the NCAA allows. I asked him one-on-one how he felt we would stack up against this year's FBS schedule. He said UMass should be competitive in the MAC----but the margin was razor thin. Coach said we can't have a big injury year or academic or deportment suspensions. On the 2011 recruiting he said he and his staff really only had four weeks to recruit because of the delays in getting all the coaches contracts signed. Even so, UMass signed five players with legitimate top-six league (BCS) offers. Most of the other recruits were FBS (MAC) level players. Coach said the MAC was a significant step up in competition. He said just compare the number of players entering the NFL from the MAC as compared to the CAA or any FCS league. Coach Molnar said the upperclassmen, by a twist of fate, now had a scholarship to a FBS program. Coach said many upperclassmen had interest from FBS schools when they were recruited, but not many had FBS offers. Now they have a chance to prove everybody was wrong and show they should have received that ride to Syracuse or Rutgers or where ever. The new UMass football facility will be 50,000 square feet. He said "state-of-the-art" is overused, but it will have all the bells and whistles including weight room, locker room, coach's spaces, meeting rooms and academic areas. He said currently, with the weight room in one building, the coaches offices in another, the equipment room in another building, the situation was not optimal. He said "If you knew what I was going through now, you'd pay me double!" He said a bad day as Head Coach at UMass was better than a good day as an assistant coach. I talked to a marketing guy and he said the Patriots were being helpful. UMass literature is going out with Revolution marketing material. UMass lost some Western Mass ticket holders but have gained some central and eastern Mass people. They hope to have a significant increase in total season tickets by September. Coach Molnar is hoping to have a meet-and-greet practice for the fans at Gillette. He would like to have the fans be able to meet the players in person. Since the Pats will be in training camp at the same time, the logistics of that will be formidable, but he thinks it can be done. New MassLive beat reporter Harry Plumer looks at the challenges in UMass' 2012 schedule. He also discusses the move to WWEI by UMass sports. A Eagles blog says Eagles starting fullback Stanley Havili will be pushed by Emil Igwenagu. Julian Talley takes part in the Giants Make-a-Wish program. Kevin Gilbride says Victor Cruz and Julian Talley are different types of players. ESPN says Jeromy Miles is getting a long look by Cincinnati for starting safety. 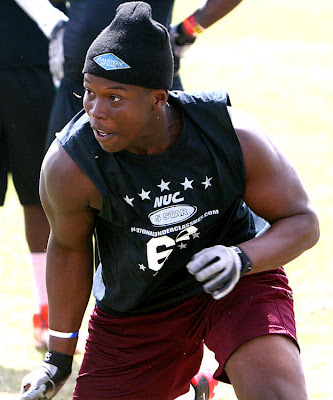 Rivals.com reports UMass has offered to Sheldon Fleming, a 6-3 237 pd DE from Lehigh Acres, FL. Fleming also has an offer from Ball State. Matty V. has more on the move to WWEI. UMass football will also appear on WVEI-AM 1440 in Worcester. Stations in eastern Mass are still being negotiated. Official UMass Athletic Dept notice here. Coach Molnar announced that Notre Dame transfer Deion Walker has officially joined the Minutemen. Harry Plumer of MassLive.com has a substantial article on UMass' three FBS transfers. Athlon Sports predicts the MAC Conference. NorthJersey.com has a story about the Montclair HS football and mentions UMass. Our 2012 OOC opponent Vanderbilt renovates after athletic success in 2011. Why schools are so eager to move to power conferences: the Big Ten Network had a $79.2 million profit in 2011. Our old home the CAA, has raised its exit fee to $1 million. Good Morning from Jaffrey, where we apparently having a monsoon season. Matty V has a story about the upgrades for McGuirk stadium and a new hoops practice facility. He says it appears some UMass games will be on WWEI. The western Mass all-sports station will carry some of the UMass football and basketball games. One of our commenters will be happy to know that the athletic dept will be staring a football season ticket advertising blitz starting in early July. A link to an article that has the recruiting budgets of most FBS teams. UMass is not listeded. Yahoo Sports reviews the four new FBS team (including UMass). BuffaloBilldraft.com reviews the "sleepers" in each MAC team. UMass is on page two. Mentioned are DB Mike Lee and OT Stephane Milhim. Tampa Bay Online has a story about 2011-12 notables from the Sun Coast and mentions two UMass recruits Tyler Bergantio (UMass hoops) and Trey Dudley-Giles (UMass football). Trey Dudey-Giles was also first-team All-Sun Coast in baseball. Hit .400 with 17 stolen bases. Sources say UMass is showing interest in Malik Smith, a 6-1 228 pd DE from Cypress Creek HS in Orlando, FL. "Hoosier Hype" blog has a story here. Articles on him here and here (second article mentions UMass). Matty V. has his "Top 25 UMass athletes of 2011-1012". Included from UMass football are seniors Jonathan Hernandez and Tyler Holmes. The Boston College Blog "BC Interruption" wonders if the sands of time are not running in the favor of the Eagles. Yahoo Sports writer Taurus Londono looks at the 2012 UMass football TV schedule. Yesterday I said Victor Cruz was a hit at NY's annual Puerto Rican Day parade. The NY Post says "He's the man!" The Steelers have six former MAC conference players on their roster. NEPatriotsdraft looks at MAC senior draft prospects. Nick Speller and Darren Thellen are mentioned. Thellen's NFL Draft scout page. Speller's NFL Draft Scout page. 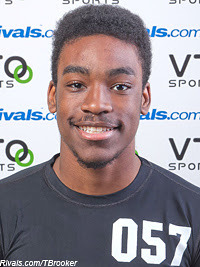 Rivals.com reports UMass is interested in Aaron Young a 6-0 185 pd DB from Archbishop Carroll HS in D.C..
Young holds offers from Hawaii and Toledo. Emil Igwenagu gets a positive mention in this Eagles blog. Victor Cruz was a hit in New York's annual Puerto Rican Day parade. Coach Molnar stated that he wants to sign local recruits. The following are the Bay State's top players for 2013. ESPN's top Massachusetts recruits for 2013. 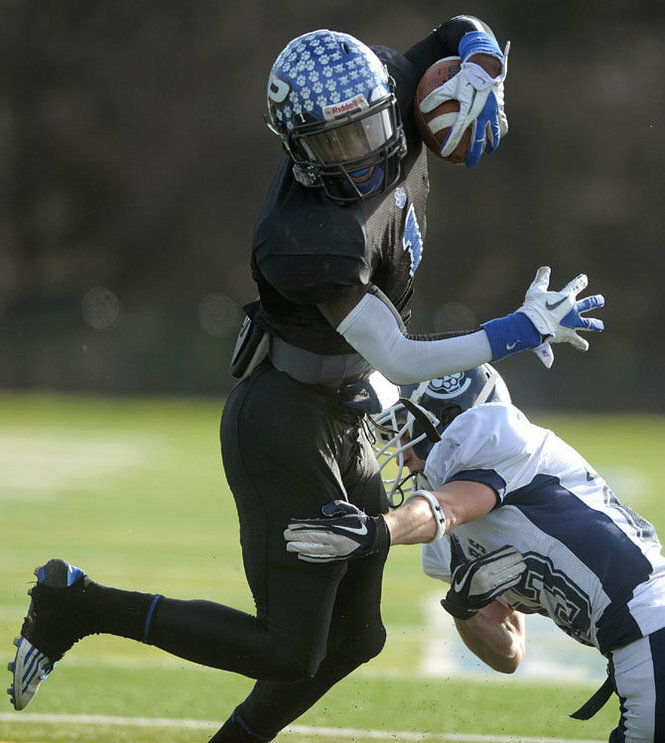 Rival's top Massachusetts recruits for 2013. Florida State spent $525,000 on recruiting in 2011. UMass probably didn't have quite that budget. More on NCAA Football 13. Who will be the first to win a National Championship with UMass? Rivals.com reports UMass has interest in Kierre Rhodes, a 5-10 185 pd CB from St. Paul, MN. Was a top performer at the RAS camp. Rhodes does not have any offers yet, but is getting interest from Western Michigan and UMass from the MAC. Bleacher Report has an article ranking the loyalty of a school's fan base. UMass is #110. More on this year's college football TV schedules from ESPN, CBS Sports and NBC. If you're a gamer, EA Sports NCAA College Football 13 demo is available. Coach Molnar will be at MacDonald's Tavern on 440 Grove St in Worcester on June 14th. The Worcester Area Alumni Association will be there too. Last week I mention some UMass alums playing in the CFL. I missed Keron Williams, who is playing for the B.C. Lions. Brandon London gets a mention in this Larks 2012 preview. Wining the National Championship with UMass is on the NCAA Football '13 achievement list. The Big Ten Network has details on the Michigan-UMass game. I can't tell you how much satisfaction it gives me not to be searching for a link to UMass- Stony Brook on Comcast Sports Mid-Atlantic cable network. The early line on all 726 college games in 2012. UMass is +26 against UConn in the Minutemen's opener. Speaking of the Huskies, a Bleacher Report article ranks them #7 in the Big East. A agent blogs on five mistakes NFL rookies make. Teams we out-recruited in 2012 according to Phil Steele: Fresno State, Hawaii, UNLV, New Mexico, UAB, UTEP, Wyoming, Western Michigan, Ball State, Kent State, Buffalo, Akron, San Jose State, UTSA, Troy, WKU, ULM, Middle Tennessee and North Texas. 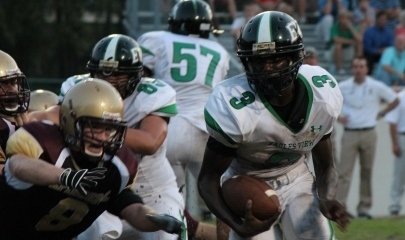 Rivals.com reports UMass has offered to Jojo Kemp, a 5-10 189 pd RB from Deland, FL. Kemp took part in the Nike SPARQ combine in February. His score was 51st out of 1,400 participants. Kemp has offers from 20 FBS schools. Matty V. has an updated UMass Football Schedule. Two of the Gillette home games are at 3:30 PM and one is at Noon. The UMass Athletic Dept has more details on the UMass home games and says individual game tickets will be available in late July. The MAC website has details on the entire league schedule. Fifty-six MAC games are scheduled for national or regional TV. MassLive.com has a new UMass beat reporter. Victor Cruz and the Giants visit the White House. Opposing Views has a video interview with Victor about being an undrafted free agent from UMass and his wish to stay with the Giants. The Minutemen's OOC schedule for 2012 is UConn, Indiana, Michigan and Vanderbilt. Another team moving to FBS this year is University of Texas at San Antonio. Football Scoop has an article on the 173 head coaching changes in FBS since 2005. In 2011 UMass averaged 25.2 points/game and 360 yards of total offense/game. That was the lowest in the past seven years. In 2011 the Minutemen defense gave up 27.9 points/game and 365 yards of total yards/game. That was the highest in the past seven years. The Orlando Sentinel says UMass has offered to D.J. Gillins a 6-3 185 pd QB/Athlete from Jacksonville Eagles View Academy, FL. Scout.com has a video interview with Gillins here. UMass seems to be his first offer. I received Phil Steele's college football magazine in the mail yesterday. It's got some interesting things about UMass' 2011 recruiting. Steele ranks every recruit for every team with a "power strength" number. I won't go into the details as they cover a whole page of single spaced script. He further breaks down recruits into "highly touted" and "very highly touted" categories. A "very highly touted" QB is a top-30 recruit. A "highly touted" QB is a top 100. For OL the score is 100 and 250 (because the talent pool is larger). Each position has a different score ranking. The results for the MAC are interesting. He also has an overall recruiting rating which is base on total number of recruits, total of PS#, etc. The conclusion is that UMass seems to have done pretty well in Coach Molnar's short 2011 recruiting season. Now if he can land a couple of those recruits I've been blogging about nearly daily, UMass could end up in the top echelons of MAC recruiting in 2012. UMass and FAU are the lowest ranked teams in NCAA Football 13. Speaking of recruiting, Football Scoop has a video of a 13-day recruiting trip by a Bowling Green assistant coach. The Falcon's coach hits some of the same recruiting areas UMass has been recruiting. Rivals.com reports UMass has offered to Dubois Ross, a 6-0 176 pd athlete from Bangor, PA.
Ross has been a running back, receiver, defensive back, kickoff and punt returner in HS. Dubois also holds offers from Buffalo and Yale. Matty V. says Hafis Williams and Michael Cox are officially Minutemen. UMass Athletic Dept news release on Williams and Cox here. Jeff Thomas says William and Cox will join 70 Minutemen who are staying in Anherst this summer to participate in the team's off season conditioning program. Michigan is not happy about playing their contract game at UConn in front of 40,000 people. The Wolverine's AD is Dave Brandon. Hey Mr. Brandon! 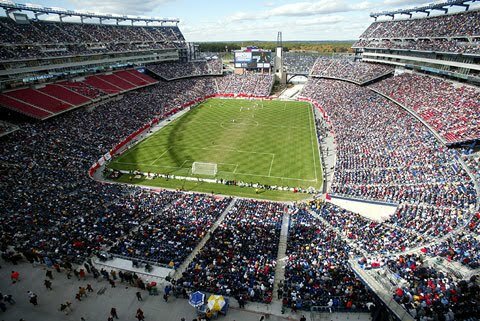 UMass has beautiful Gillette Stadium. 68,756 seats! Mr. Brandon! Over here! We'll take a twofer contract! Speaking of UConn, SB Nation Blog says the Huskies are fending off the malaise. Phil Steele has an article on teams he expects to do better and to do worse in 2012. Indiana, Central Michigan and UConn are up teams. Michigan, Eastern Michigan and Ball State are down teams. OT, but Yahoo Sports says UMass hoops gets a favorable A10 schedule next year. Rivals.com reports that UMass has offered to Kyle Chung, a 6-4 255 pd TE from Ponte Verda, FL. Chung has offers from Temple, Virginia Tech, Arkansas, Maryland, Virginia (recruited by Jimmie Reid) and Western Kentucky. As you know, I'm an amateur astronomer. 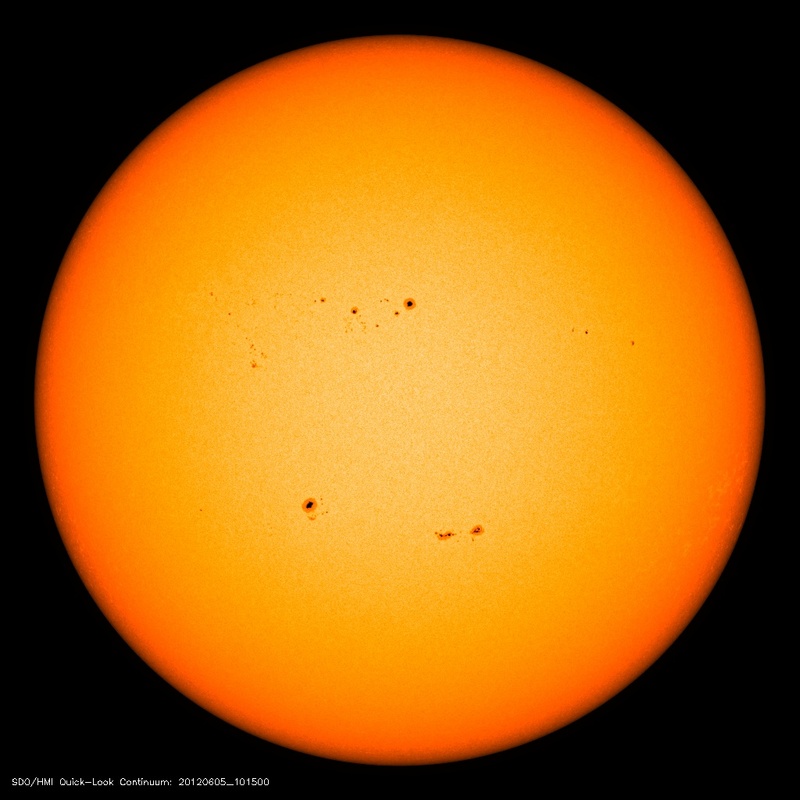 It looks like it's going to be cloudy in New England for the Transit of Venus latter today. Astronomy Picture-of-the-Day will have live streaming video of the event. Don't miss it. The next transit isn't until 2117. Wonder how UMass football will do that year? The Worcester Telegram reports that Holy Cross is adding Jeff Wiley to its Ring-of-Honor. The story tells of Wiley setting a Crusader record of 438 yards (the UMass press guide says 446) against UMass in McGuirk. Wiley still holds the McGuirk opponent passing yards record. I was at that game and it started some bad blood between UMass and the Cross. UMass fans and coach Reid were not upset at the 54-10 score, it was the fact that Heisman Trophy candidate Gordy Lockbaum was still in the game late in the forth quarter. If I remember right, he scored the last Holy Cross TD. The ESPN NFL East blog reviews the Giants receivers. Relevant quote for UMass fans" :"With due respect to New England's Wes Welker, there was no team in the league that got from its slot receiver position what the Giants got last year from Cruz." Although he won't be playing football for UMass, the Fall River Herald News has a nice human interest story about future UMass student Alex Reid.